Publishing Authentic Classical Concerts entails for us capturing and recording for posterity outstanding performances and concerts. The performers, audience, opus and room enter into an intimate dialogue that in its form and expression, its atmosphere, is unique and unrepeatable. It is our aim, the philosophy of our house, to enable the listener to acutely experience every facet of this symbiosis, the intensity of the performance, so we record the concerts in direct 2-Track Stereo digital. The results are unparalleled interpretations of musical and literary works, simply - audiophile snapshots of permanent value. Flourishing culture, enthralling the audience and last but not least also you the listener, are the values we endeavor to document in our editions and series. String Quartet No. 63 in B Flat Major, Opus 76, No. 4"Sunrise Quartet"
String Quartet No. 14 in G Major, K. 387"Spring Quartet"
String Quartet No. 8 in E Minor, Opus 59, No. 2"2nd Razumovsky Quartet"
An a-cappella-recording with works about love and sorrow for 4- to 12-part mixed choir by Robert L. de Pearsall (1795-1856), Robert Schumann (1810-1856), Peter Cornelius (1824-1874), Sven David Sandström (*1942), John Tavener (*1944), John Rutter (*1945), Branko Stark (*1954), David Hill (*1957), Wolfram Buchenberg (*1962), Jaakko Mäntyjärvi (*1963) and Eric Whitacre (*1970). Maulbronn Chamber Choir & Ensemble il Capriccio (Baroque Orchestra). This album is not 'another Bach' album. It is unique, and it is a treasure. Music Director & Conductor: Jürgen Budday. by the European Union Baroque Orchestra & Riccardo Minasi. Here is another great cd from this group... It was recorded live in June 2012 and the audience factor makes this group even more exiting. Rarely heard treats such as Fats Wallers' composition "Dancing At The Waldorf" and Duke Ellingtons' "Frolic Sam" are played with excellent execution. Old favorites such as "Keepin' Out Of Mischief" and "Dinah" are also on this cd. GrauSchumacher (Piano Duo: Andreas Grau & Götz Schumacher). Russian Chamber Philharmonic St. Petersburg. Maulbronn Chamber Choir (Maulbronner Kammerchor). James Rutherford, Stephen Varcoe a.o. Conductor: Jürgen Budday. I am nearly 60 years old and have heard countless versions of Handel's "Messiah" since I was a boy. Recently I decided to purchase the best recording I could find for MP3 use. Wanting the version most faithful to Handel's baroque style, I easily eliminated most of the recordings I "auditioned" due to the overuse of orchestration, usually performed by unauthentic modern instruments. I also did not want to listen to any more wobbly warbling of soloists who seemed to be more intent on overpowering the listener than on communicating the divine message of the scripture text. Nor did I wish to hear any more sloppy choral performances that muddy the words because of the choir size and poor attack. I had heard other recordings done with "authentic" or "antique" instruments, some of which are fine, but usually one or two of the soloists have left me disappointed. This version has satisfied every one of my wishes. Where have they been hiding? It is totally delightful, and I have no complaint. I can only hope that more persons will become aware of this recording and add their two bits of comments. If you are one of those persons who enjoys heavy vibrato and heavy orchestration, you might not appreciate this fine Baroque recording. But if you are tired of the same old..... then by all means, give it a try. It is refreshing! I've heard many, many versions of "Messiah" in my short 27 years, and this is by far the best. One need only listen to the "Hallelujah Chorus" to appreciate this recording -- it is at once intimate and majestic. The restraint that the choir demonstrates in the beginning is remarkable, considering that that chorus is normally an unwieldy, overwhelming, incomprehensible mess. It's not lacking for majesty and bombast, but it's there at appropriate places. Monastery Baroque Orchestra, Maulbronn Chamber Choir (Maulbronner Kammerchor). ... The sound in this monastery is excellent. This is a beautiful recording of one of Handel's finest oratorios, and is highly recommended. THIS IS A LIVE RECORDING!!! There is nothing more exciting than listening to a recording of a performance that is taking place at a partiular time. The performers are definitely 'up' for it, as is the conductor. That is one reason why I LOVE these Maulbronn records... There are some really tuneful and lively Handelian tunes in this oratorio; some of which are: "Return O God of Hosts" Chance and the chorus- "How Willing My Paternal Love" Raimond Nolte (baritone)- "Ye Sons of Israel, Now Lament" Chance-and it concludes with the familiar chorus: "Let the Celestial concerts all Unite". This music is Handel at his greatest! LIVE PERFORMANCE FROM MAULBRONN BRINGS 'SAUL' TO LIFE! I have just finished listening to the oratorio 'SAUL' from Maulbronn conducted by Jurgen Budday. It leaves me breathless with it's high drama and excellent singing. The fact that this is a LIVE performance makes it all the more exciting to hear... This is a superb listening treat! Musica Florea Prag, Maulbronn Chamber Choir (Maulbronner Kammerchor). "This is an excellent recording of one of Handel's best and most popular oratorios, and is highly recommended..."
Members of the SWR-Symphony-Orchestra Baden-Baden & Freiburg. and members of the SWR-symphony-orchestra Baden-Baden & Freiburg. I enjoyed the work immensely and found much to savour in the memorable tunes that permeate the solo numbers with Moses' death particularly moving. Both soloists and choir rise magnificently to the occasion, delivering performances that are grandiose yet saturated with a humanity that was so evident in Israel's rapport with God. The Russian Chamber Philharmonic play full bloodedly and with conviction under Jürgen Budday, who while keeping a tight reign on proceedings, allows the performance to flow with a natural ease. An excellent project that deserves every plaudit for its unique enterprise. Wolfgang A. Mozart - Symphony No. 36 in C Major, KV 425 "Linz"
Your version of Dvorak's String Serenade is my favourite... Gotta loveit...damn! This guy is so good!" Wolfgang A. Mozart: Serenade No. 10 for winds in B flat major, KV 361 "Gran Partita"
at the church of Bad Homburg Castle and featuring an outstanding ensemble. The venerable Württemburgisches Kammerorchester under Jörg Faerber,with violinist Linus Roth in the Violin Concerto No. 5 in A major, K. 219, deliver the clean Mozart performances for which they have long been known, and the live sound is exceptionally good. Recommended for anyone who wants to hear a composer who held the stage (or noble household music room) with Mozart and Haydn in the 1780s...."
Concerto No. 26 in D major, KV 537 "Coronation"
Audio-CD, DDD, 52 min., KuK 82, ISBN 3-930643-82-0, EUR 22,-. Concerto in D for trumpet, 2 violins & B.C. Symphony No.8 b minor "The Unfinished"
Symphony No.3 a minor Op. 56 "Scottish"
Musica Sacra · Die Zeit "The period of time"
This album is part of a series recorded live at the medieval-era Maulbronn Monastery in southern Germany, but it explores the music of a very different region: the Hamburger Ratsmusik, doubtless a strange name to Anglophone ears, is the Music of the Hamburg City Council, a concert series with a tradition a half a millennium long. It petered out and was then revived. This concert, conceptualized by gambist and ensemble leader Simone Eckert, collects a group of pieces from the 18th century, all connected by the single theme of time (die Zeit)... The combination of pieces is largely unlike anything that's been put on disc before, and many of them are unknown. 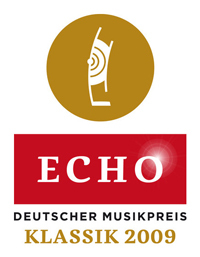 The program combines simple, strophic settings like Johann Schop's "O Ewigkeit, du Donnerwort" (O Eternity, You Thunder-Word), from the mid-17th century, with Telemann's simple moralistic cantatas, more involved Bachian pieces, and instrumental works of several kinds. Soprano Dorothee Mields does an exceptional job of communicating the sober but appealing mood of the music, so different from the operatic ideals that informed even much of the output of Bach, and the backing musicians keep everything lively even as the emotion level is low-key; the two Telemann trio sonatas included are nicely differentiated by accompaniment, with one featuring a theorbo continuo. The whole program breathes and feels like a spirited rediscovery of true expression that's centuries old, and the sound from the monastery is well suited to this music. Recommended, partly in hopes that the album will stimulate further exploration of the repertory from Hamburg, an immensely influential city in its day. Maulbronn Chamber Choir · Conductor: Jürgen Budday. ...The Tendai monks and the Schola Gregoriana Pragensis ensemble have created a wonderful recording resulting from their mutual collaboration at concerts and liturgy in Prague in 2000 and on tour of Japan in 2005. These meditative encounters focus on interesting contrasts in the two musical languages and expressions, at the same time seeking common elements present in both traditions. Parallels can be found in the recitation of the sacred text or in the interpretation principle of alternating a soloist with a choir, which overlaps the boundaries of confession repertoires. Another striking feature is the tonality based on the pentatonic scale appearing both in shomyo singing and Gregorian chant. This unique collaboration has produced music of mesmerising beauty and intensity. Highly recommended. The best of YouTube video! This is an excellent recording, presented in the spirit of the music. I was very moved by these performances. Since chanting-monk CDs are all the rage nowadays, K&K Verlagsanstalt decided to issue this disc of a special concert given at the Maulbronn Monastery in 2008. This concert, sponsored by UNESCO, combined the music of Tendai Buddhist monks from Japan with the Schola Gregoriana Pragensis choir, founded in 1987 in what is now the Czech Republic. The aim was to have the religious chants and hymns of both religions complement each other and create a multi-religious ambience redoubled in effect by the atmosphere of the surroundings. The experiment works very well indeed. Initially, the two choirs alternate their chants, the Westerners more formal in structure, the Easterners more fluid in theirs. It was interesting for me to hear Japanese monks as compared to Tibetans who are much more familiar here in the U.S. The Japanese monks all chant in a higher pitch, more in the tenor range, although some of their members are capable, as are Tibetans, of “chording” with the voice from time to time. As for Schola Gregoriana Pragensis, they are quite simply a beautiful-sounding group with great feeling in their singing. As the concert progresses, both choirs begin combining their religious chants to fascinating effect. Despite the musical and cultural differences, everything blends surprisingly well... This is an excellent recording in every respect and in its own way more universal than many such "chant" CDs out there. In the spirit of the music presented, I recommend this disc, but as you can probably tell I was very moved by these performances. Audio-CD, DDD, ca. 50 min., KuK 87, ISBN 3-930643-87-1, EUR 22,-. Alexandre Gretschaninow, Kastalsky, Fatejev, Dimitrij Bortnjanskij, Kiewer Melodie. "From early dawn... until late at night"
Rolf Schweizer, Johann H. Schein, Jozef Swider, Arvo Pärt, Sven D. Sandström, Max Reger. and Johann Rist's "Himlische Lieder", printed in Lüneburg in 1641/2. Audio-CD, DDD, 65 Min., KuK 88, EUR 22,-. Marcel Samuel-Rousseau, Joaquín Rodrigo, Pearl Chertok & Jean-Michel Damase. Nikolai Medtner ~ Piano Sonata in E Minor Op. 25 No. 2 "Night Wind"
The seriousness and intensity with which von Eckardstein imbues Schubert's Sonata in A Minor; the wealth of tone colours this winner of Brussels's Queen Elisabeth Music Competition draws from the C. Bechstein concert grand piano for Debussy's Images; the virtuosity of his interpretation of Medtner's sonata: all this really breathtaking. Ingo Hoddick states in an article published in the Rheinische Post: "Von Eckardstein is captivating through his music with clear tonal contours and his serene and passionate approach of playing the piano. He does it all with virtually no gimmickry or flamboyance  which cannot be said of many contemporary artists..." The CD also includes three poetic pieces by Prokofiev, Scriabin and Tchaikovsky. These encores offered to the euphoric audience demonstrate von Eckardstein's sensitivity in conjuring a magical atmosphere from a C. Bechstein concert grand piano. Concert recording from UNESCO World Heritage Site Maulbronn monastery 2011. Robert Schumann ~ Carnaval for Piano Opus 9 "Little Scenes on Four Notes"
Another great piano recital from K&K... This CD is a special one! Joseph Haydn ~ Variations in F Minor "Sonata un piccolo Divertimento"
"This fascinating concert recorded live in the mystic Castle of Bad Homburg is a truly mystical tour-de-force showcasing the magnificent talents of this young pianist who will surely become a household name in the very near future ... Truly a disc to relish and a sincere thumbs up to this most gifted of pianists." Amir Tebenikhin, born 1977 in Moscow, won second prize at the 2006 International C. Bechstein Piano Competition Ruhr. 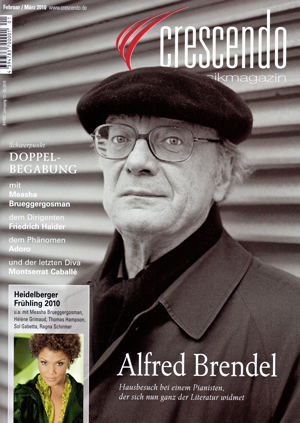 This live concert recording from October 7, 2007, in Schloss Bad Homburg shows him as one of the finest pianists of his generation and convinces all the way through: Profoundly deep Schubert (D 664) playing can be experienced along with highly virtuosic Prokofiev and Schumann interpretations. And the orientally inspired musical poem "The Legend of Dombra" by Nagim Mendygaliev, which lends this piano music CD its title, is truly an original enrichment of the repertoire. Unorthodox as his Schumann interpretation... brilliant! German pianist Franz Vorraber has become known by recording the complete piano solo works of Robert Schumann. Just as unorthodox as his Schumann interpretation is his concert performance in April 2007 of the four Impromptus Opus 90 and the Wanderer-Fantasy by Franz Schubert. His playing brilliantly emphasizes the clarity and broad dynamics of the C. Bechstein concert grand piano in the Bad Homburg Schlosskirche. This is the best sounding recording of a piano I have ever heard - it must be heard to be believed! The title "Grand Piano Masters" contains a CD series by the K&K publishing company with live concert recordings. Lilya Zilberstein's CD published in 2008 with Beethoven's Sonatas No. 2 and No. 23 has been praised in the highest terms by the press worldwide. In the music magazine PIANO NEWS, for example, one could read: "The amount of power and motivation that emanates from Zilberstein is displayed in the recording of both well-known Beethoven Sonatas which she presented on the sonorous C. Bechstein Modell D 280. The sound is outstanding; there is no other word for it..
Lavishly illustrated, as is this firm's way, the presentation of this fine CD of a recital recorded live in Bad Homburg Castle Church brings it to life in a manner that approaches the best of DVDs... The recording by KuK on a perfectly prepared Bechstein is exemplary. Listen to the generous MP3 samples on their website and buy! MusicSonata 23 is a war horse. There are literally 3-5 dozen versions online from older versions Schnabel (much too fast) to Brendel and Horowitz (quite staid) Kissin Gilels Schiff Goode and others. This one has superb recording. It is live and one can feel the tension with the audience. It is exceptionally clean and not exceedingly fast. You can hear the nuances that lay buried in the ear with the speedsters. She has wonderful rubato moments and the phrase to phrase dynamics are exceptionally well done. Importantly it is very exciting to hear though you know every note; it appears fresh as I feel it is new, modern interpretation. Congratulations Lilya. I hope to hear you in concert in Boston. of a recital recorded live in Bad Homburg Castle Church brings it to life in a manner that approaches the best of DVDs... The recording by KuK on a perfectly prepared Bechstein is exemplary. Listen to the generous MP3 samples on their website and buy!" The concert that Lilya Zilberstein performed on a C. Bechstein concert grand piano in the Bad Homburg Schlosskirche was thankfully recorded live. For her interpretationsof Brahms Variations Opus 21 and the eight piano pieces Opus 76 present the famous pianist at the height of her art. Ernst Hoffmann wrote the appropriate sentences: "For Lilya Zilberstein it doesn't make any difference whether she plays a short piano piece of an extensive sonata. Dynamic contrasts are great, construction symphonic. She succeeds convincingly in setting free the enormous pressure in many phrases, which Brahms is always able to exploit." Concerto No. 26 in D major KV 537 "Coronation"
Darius Milhaud: "La Cheminée du Roi René"
Heitor Villa-Lobos: Quintette en forme de Choros. "The death and the maiden"
The severe sound environment of the Maulbronn Abbey, a UNESCO World Heritage Site in the German state of Baden-Württemberg that dates to the twelfth century, has given rise to a series of recordings covering varying aspects of music from the Western concert tradition... Sample the very beginning of the Schubert String Quartet in D minor, D. 810 ("Death and the Maiden"), to get yourself into the disc; the opening chords might be described as slashing... It's an extraordinary reading that rises to the moment offered by a specific performance space, and the disc as a whole, while not for those who like the emotional temperature of their classical music kept to medium, is decisively recommended to those wanting to try out the Maulbronn series. Lavishly illustrated, as is this firm's way, the presentation of this fine CD of a recitarecorded live in Bad Homburg Castle Church brings it to life in a manner that approaches the best of DVDs... The recording by KuK on a perfectly prepared Bechstein is exemplary. Listen to the generous MP3 samples on their website and buy! A concert recording from Bad Homburg Castle (Germany), April 2007. Jean Françaix and Edward Longstaff. A concert recording from the UNESCO World Heritage Site Maulbronn Monastery, 2006. "The spring of Buenos Aires"
Pearl Chertok and Jean-Michel Damase .